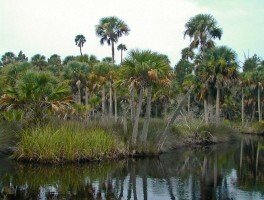 Hiking Chiefland | Florida Hikes! 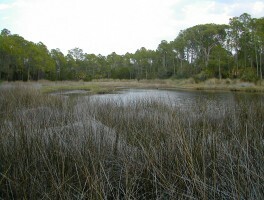 Not far from where the Suwannee River flows out into the Gulf of Mexico, Chiefland is a major community along US 19 and Alt US 27 in Levy County with access to public lands along the river and in vast Goethe State Forest. 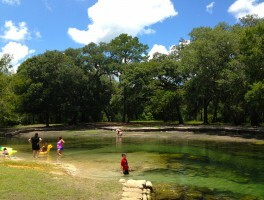 A beauty spot along the Suwannee River north of Fanning Springs, Hart Springs offers swimming, hiking, camping, and cave diving in a rural setting near Trenton. 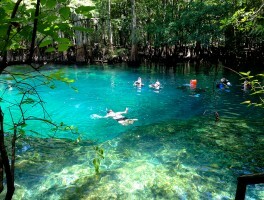 Showcasing the topography of the lower Suwannee River, Manatee Springs State Park has trails leading around deep sinkholes, walks through ancient forests, and a spring run so clear you can see schools of fish racing down it to the river. 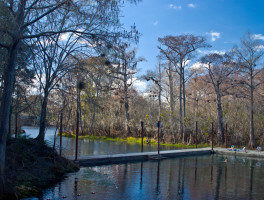 West of Trenton along the Suwannee River, Otter Springs is a second magnitude spring surrounded by clusters of ancient oaks and towering cypress. 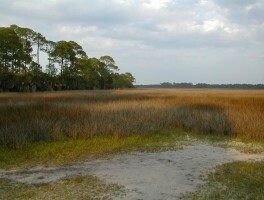 It is a Gilchrist County Park. 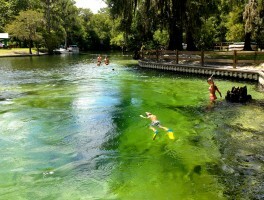 Visits to four springs along the lower Suwannee River enlightens us as to the changes occurring in Florida’s springs, even in rural areas. 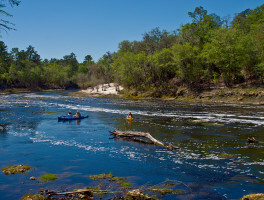 Along its 266-mile meandering route from the Okeefenokee Swamp to the Gulf of Mexico, the Suwannee River is home to countless springs, sandy beaches, and tributaries that drop into the river down steep slopes as waterfalls. 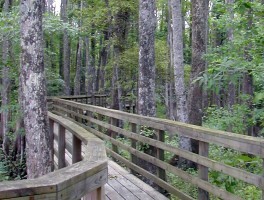 The Suwannee River Wilderness Trail lets you explore it all.